The Dublin and Sligo city councils voted to fly the Palestinian flag above their respective city halls, Irish media reported on Tuesday, in a show of solidarity to mark the 69th anniversary of the Nakba – the mass expulsion of Palestinians from their homes and villages during the 1948 Arab-Israeli war that established the state of Israel. 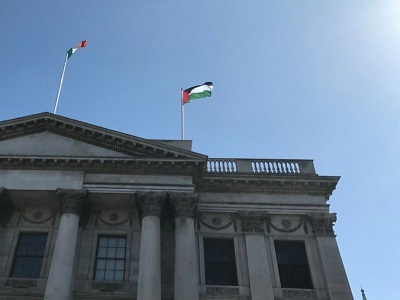 “This city council will fly the flag of Palestine over City Hall for the month of May 2017… as a gesture of our solidarity with the people of Palestine living under occupation in the West Bank and Gaza, with the Palestinian citizens of Israel denied basic democratic rights, and with the over seven million displaced Palestinians denied the right of return to their homeland,” the Dublin motion read. According to the Irish Times, the motion, sponsored by Councillor John Lyons, passed in the Dublin city council with 42 votes in favor, 11 against, and seven abstentions. 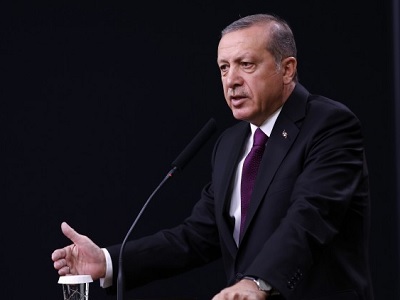 A competing motion seeking to fly the Palestinian and Israeli flags side by side was defeated, the newspaper reported. Meanwhile, the Sligo city council unanimously voted to fly the Palestinian flag between May 15, which marks Nakba Day, and May 31, local news outlet Sligo Today reported on Tuesday. Israeli Ambassador to Ireland Zeev Boker denounced the decision as “highly politically charged,” and said that it would promote a “negative message,” the Irish Times reported, without expanding. “I’m sure I am echoing the views of all Palestinians in Ireland in saying that these gestures have been truly soul-stirring and deeply emotional on a personal level,” al-Tamimi said in a statement on Tuesday. “We Palestinian Dubs will hold our head high knowing that the people of Dublin support our struggle for justice and self-determination,” she added. The official commemoration of the Nakba is held on May 15 and is observed by millions of Palestinians and rights activists around the world. 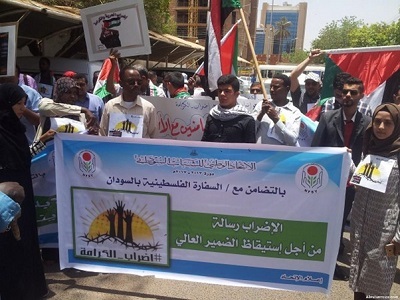 Since 2014, when Sweden became the first Western European country to recognize a state of Palestine, support for recognizing a Palestinian state has surged in Europe through various government resolutions and pro-Palestinian activism, particularly following Israel’s devastating military offensive in 2014 which killed more than 2,000 Palestinians, the majority of whom were civilians. Hooray for Dublin from Oklahoma !